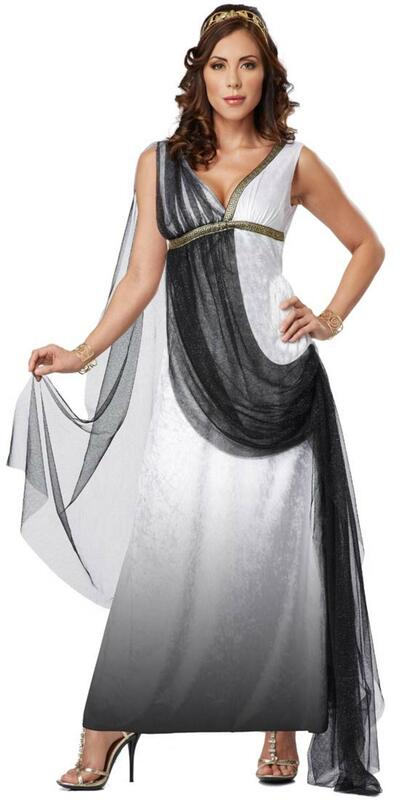 Bring back the days of Rome in style with this fabulous Womans Deluxe Roman Empress costume. Included in this historical outfit is a gorgeous conservative dress with an ombre effect trim with bronze patterned material around the bust with an attached sheer black drape piece. Roman style jewelry, shoes and crown are not included within this costume, why not take a look through our extensive selection of accessories to complete this Roman fancy dress. 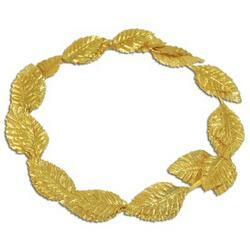 A stylish costume idea perfect for wearing to any Historical or Roman themed fancy dress party.